The Wasabi Green restaurant and the Manoteras Cines & Restaurant Centre are your destination if you are a true lover of Asian food and the best productions of the Seventh Art. You will find a complete selection of food from all Asia in our restaurant’s menu. And in the cinema, you’ll be able to watch all the films on the Madrid box-office in the Cinesa de Manoteras movie theatres. Among the offer at Wasabi Green there are different dishes from various places in Asia. That is why we are among the most complete Asian restaurants in Madrid. But it is true that the vast majority belong to the delicate Japanese cuisine. Even the name of our restaurant, Wasabi Green, refers to the most emblematic spice of all the Japanese dishes. 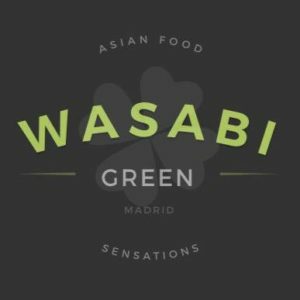 If you want to enjoy a Japanese restaurant in Madrid, you can imagine the whole feast that awaits at the Wasabi Green in Manoteras Leisure Centre. 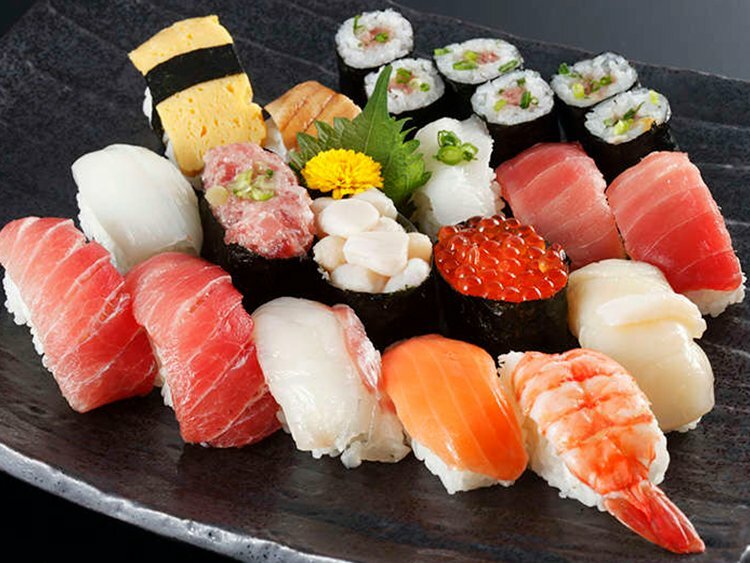 Here you will taste a great array of sushi, sashimi, bao, maki, etc. So, sharpen your chopsticks and get ready to indulge. If you are an expert, you know how to handle yourself around the vortex of oriental names and recognize their flavours and ingredients. But you might be a rookie in the field and it overwhelms you to have to choose between all that world of small Asian delicacies. If this is the case, you can take advantage of the formulas offered by Wasabi Green. This is the best introduction to Japanese cuisine. And of course, you can always return to our premises in Manotera Centre, increasingly considered one of the best Japanese restaurants in Madrid. We will be waiting for you to continue testing the rest of the specialties on our menu. If you prefer, you can place your order online. It is a great option to bring Asia to your dining room. But if you have the chance, take advantage of the afternoon, and before or after trying our sushi and other products, you may want to enjoy a brand-new movie in the Cinesa de Manoteras movie theatres. One of the options at Wasabi Green is to order any of its menus. They are very practical formulas for a complete dinner, since they can include rice, salad, seaweed, meat, rolls and sushi. In short, a little of everything, to taste the variety of Asian food in Madrid. Another possibility when choosing from the Wasabi Green menu is to go for one of our combos. A formula that, as its name indicates, is a proposal that combines products. There may be several maki, sushi, bao or sashimi, among other things. A great idea to share if you go to our restaurant in Cinesa Manoteras as a couple. Seeing the product range at Wasabi Green we know that you feel like eating a bit of everything. All Japanese cuisine is very attractive visually. Therefore, in addition to the menus, combos and trays mentioned, you may want to taste the rest of the products. No problem, you can order pieces individually to add to your dishes! Even if they seem very appetizing to you, you may not know what each piece is. Well, we’ll explain very quickly what sushi, maki, yakitori or bao is. From Wasabi Green we want the experience of eating at a Japanese restaurant in Madrid to be as satisfying as possible. Sushi are pieces of rice accompanied by salmon and other marinated fish. On the other hand, maki can be that same rice with fish and vegetables, although now rolled in algae. And as for yakitori, we are talking about an equivalent to brochettes, generally made of meat. Bao can also contain meat, seafood or vegetables, they are small steamed buns of Chinese origin. These are just a few ideas taken from the oriental cuisine that is present in Wasabi Green. If you want to know more about it, and especially savour it, do not hesitate to come. We wait for you in the Manoteras Cinemas & Restaurants Centre!